As consumers of entertainment, we presume to know what we like and what we don’t like. We’ve got things we adore, things we can’t stand and a lot of grey area in between. Every now and then, though, a project we might normally ignore slides into our field of vision, forcing us to take a look at it — sometimes resulting in an unexpected new favorite. Such is the case with this humble reviewer and Plants vs. Zombies: Garden Warfare 2: by all accounts, this just looked to me like a translation of the popular mobile series into a third-person shooter. The notion of giving it a whirl never even crossed my mind; I hadn’t played the original games and so I had no intention of playing this one. But that’s precisely why I’m starting this review with a word of caution: if you don’t think this is for you, you might want to think again. PopCap Games’ second shooter interpretation of its wildly popular mobile series is an absolute joy to play, creating memorable multiplayer mayhem that feels accessible and enjoyable for just about any demographic. There’s plenty to do when you’re stuck by yourself now, too, but we’ll get to that later. So what exactly is new here, anyway? My exposure to this series might have only just begun with this entry, but there are plenty of other players who will be moving on from the original. 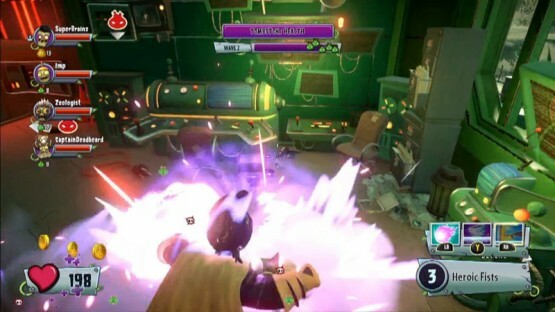 For you folks, the good news is that Garden Warfare 2 brings the new stuff to the forefront right from the get-go: the moment you start up the game, you’re dropped into “Backyard Battleground,” a new “open world” mode that basically serves as a hub for the rest of the content. From here, you can easily join a multiplayer match, tackle some quests or just explore the world for collectibles and experience points. Of course, main draws are still the frenetic multiplayer modes, but there’s plenty of new stuff in those as well. As far as modes go, most have returned from the previous game, but a couple of new ones — like Herbal Assault, a variation of Turf Takeover where plants are now on the attack — help keep things feeling fresh. That also holds true for the new maps, which range from space stations on the moon to a theme park based on time traveling. And while some gamers might roll their eyes at the new character variations, who might appear to be little more than skin swaps and costume changes, these little guys really do feel distinctive enough to warrant their inclusion. Speaking of that, being distinctive is basically the key to the appeal of Garden Warfare’s chaotic multiplayer action. It’d have been all too easy for PopCap to slap together some different-looking plant characters and dressed-up zombies and give them minor variations, but these guys and gals all play and feel quite different from each other. Take two characters that primarily use melee attacks, for example — venus fly-trap Chomper isn’t that powerful if you try to go at enemies head-on, but can sneak up behind foes and swallow them whole; on the other hand, the wide-swinging Super Brainz isn’t exactly going to be able to sneak up on anyone, but can use brute force to clobber an enemy before they have time to react. Of course, while these characters truly are unique, what’s more important is that they’re all an absolute blast to play — I emerged with firm favorites after experimenting with several different classes, but there wasn’t a single character in the bunch that felt underpowered or inaccessible compared to the others. EA has touted solo play as one of the main new features of Garden Warfare 2, and the option to play by your lonesome is indeed a welcome addition. With quests and missions that use the Backyard Battleground as the stage for a whole host of varied content — from wave-based shooting sections to collectathons — there’s no shortage of stuff to keep the solitary player busy for hours. This is an especially appealing option when you consider the staggering amount of things there are to find and unlock, like the new character variations and hidden Garden Gnomes. Add to that the way the game keeps the proverbial carrot of character progression constantly in front of you, and you’ve got the recipe for mostly-satisfying solo play. I say “mostly” for two reasons: one, I wouldn’t necessarily recommend this on the basis of its solo experience alone (players who opt to skip the multiplayer portion would be missing the best part), and two, because some of the missions seem poorly optimized for solo play. Even with the difficulty down, it’s brutal to attempt to stay alive long enough to keep control of your flag during king-of-the-hill style missions, and it’s a bad idea to go after items that drop outside the ring of the base unless you’d like to set yourself back considerably. Still, a little practice goes a long way, and players will find ways to adapt to the offset difficulty (or just bring in some friends for co-op, which is an even better and more fun option). Now, this is a Plants vs. Zombies game, so it goes without saying that the aesthetic is as cutesy and colorful as it can possibly be. But hey, who says that’s a bad thing? The graphics are still an absolute joy to look at, with character models that hit just the right note of bouncy cartoonishness and maps that realize their worlds in startling, destructible detail. It’s a testament to the designers’ vision that the unhinged, anarchic gameplay feels perfectly matched with the presentation, and in this day and age of washed-out, “edgy” shooters, it’s always nice to see a game in the genre with such a vivid and colorful appearance. The audio side of things also fits the chaos like a glove, whether it’s the whizzing, booming cartoon sound effects or the often-humorous soundtrack — I couldn’t help but chuckle a little bit at the tunes with zombies grunting and growling as the vocals. Unfortunately, I didn’t find Crazy Dave and Zomboss’ gibberish ramblings that pop up very charming at all, mostly owing to the fact that their voices — particularly the screeching tones of the latter — are ear-gratingly annoying. That’s a fairly minor nitpick, though. 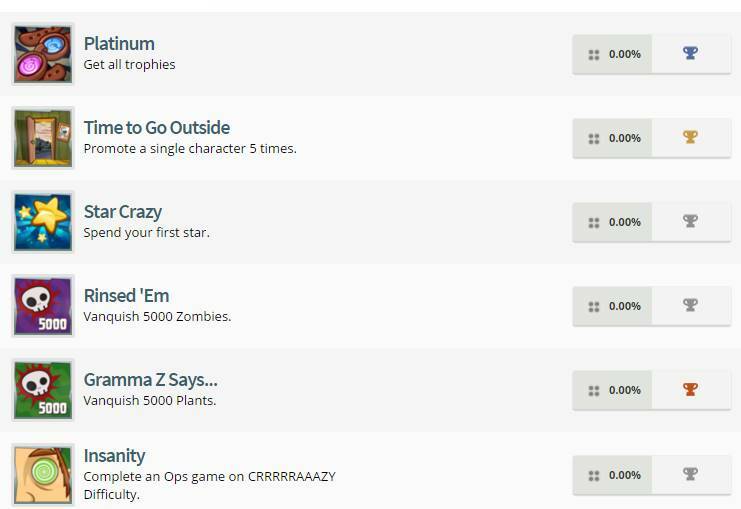 If you think you have no interest in Plants vs. Zombies: Garden Warfare 2, I implore you to reconsider. Distinctive characters, detailed maps and a lively sense of chaos all add up to one of the finest family-friendly multiplayer experiences on PS4. There’s also solo play this time around, and while that suffers a bit from balancing issues, it’s nice to be able to squeeze in a little experience-building and item-collecting in between rounds of online action. Overall, though, it’s the childlike qualities at the center of GW2 that are the most important — a seemingly limitless energy, a fearlessly goofy aesthetic and a commitment to making playing fun above all else. Sure, you’re not going to see this at any serious competitive tournaments, but you will laugh and smile a lot if you round up some friends and family to play with, and that seems to get to the heart of why we play video games in the first place. Plants vs. Zombies: Garden Warfare 2 review copy provided by publisher. For more information on scoring please see our Review Policy here.